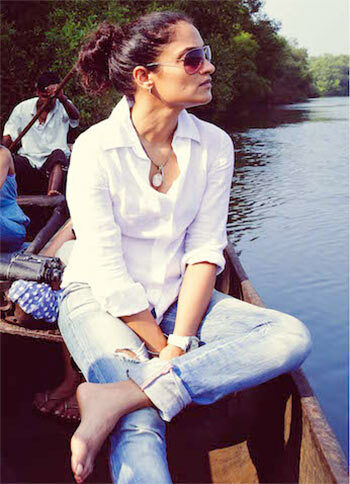 Rediff.com » Movies » Bollywood loves to holiday in Goa! A look at all the times Goa played Bollywood's favourite getaway on screen. Switzerland may be the destination for their dreams but Goa is where the hero-heroine head to holiday. If the likes of Trikaal, Saagar, Guzaarish or Finding Fanny are essentially Goa stories focusing on local characters, there are abundant occasions where folks visit the land of sea, sand and sunsets to explore its renowned beauty. 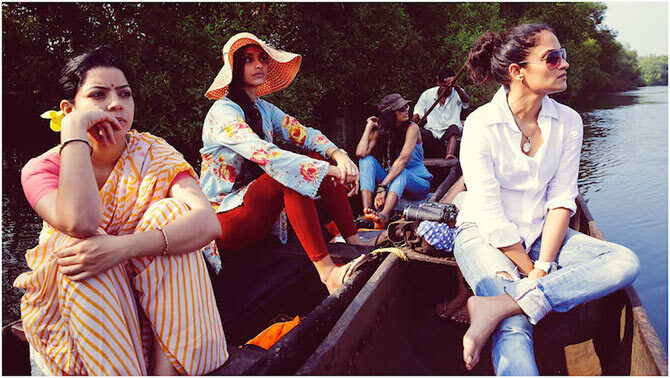 In Pan Nalin's Angry Indian Goddesses, voted first runners-up for the Grolsch People's Choice Award at the Toronto Film Festival, a bride-to-be arrives at her old house in Goa with a bunch of friends to celebrate a bachelorette weekend. On that note, here's a look at all the times Goa played Bollywood's favourite getaway on screen. One of the most comforting and definitive takes on friendship; Farhan Akhtar's Dil Chahta Hai packs in fresh, pleasant imagery. Especially that of Aamir Khan, Saif Ali Khan and Akshaye Khanna's impulsive, eventful trip to Goa. Remember the beloved troika of Akash, Sid and Sameer biking all around its gorgeous green countryside? Or a serene sail over calm aqua waters aboard a striking yacht? 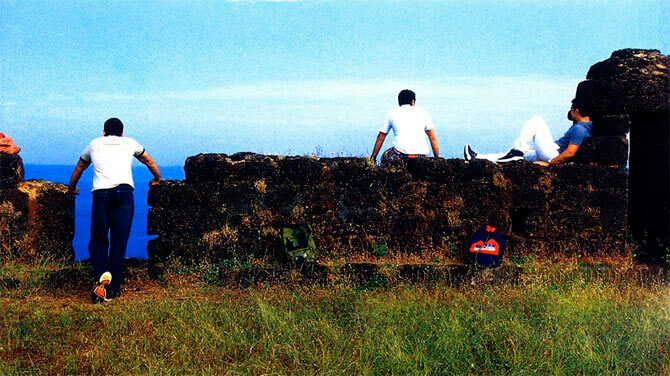 And, of course, this iconic, hugely copied pose/picture of the BFFs at Chapora fort. In Pooja Bhatt's Dirty Dancing rip-off, a doctor, his wife and their two young daughters come to Goa to do as the title suggests. One of his girls falls for a dance instructor leading up to many a salsa on the sand sessions. Not a great movie by any standards, the scenic beauty provided by good ol' Goa is Holiday's only saving grace. Six newly wedded couples take a bus to India's best-known paradise to enjoy their honeymoon in Reema Kagti's directorial debut. And while they discover each other's secrets, insecurities, differences and super powers, audiences enjoy a generous helping of Goa tourism. 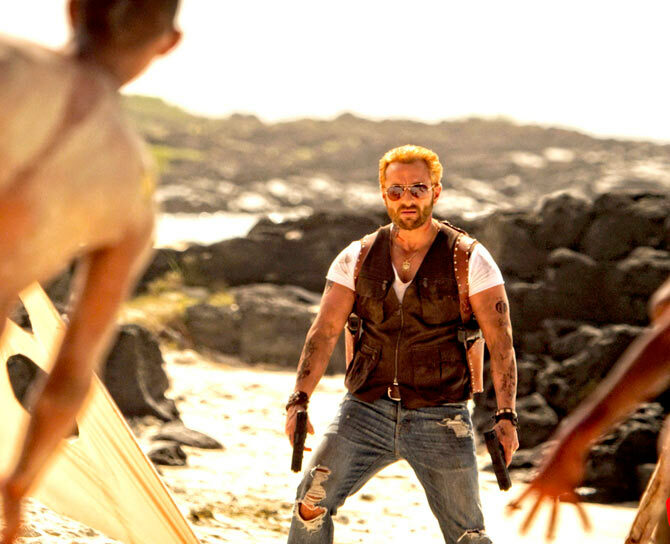 Things go completely awry while vacationing in Goa for Kunal Khemmu, Vir Das and Anand Tiwari in Raj and DK's zom-com, a zombie comedy about creepy flesh-feasting creatures infesting the rave parties and lush greens of the state. It's a unique sight to see one of the most blissful places form the site of mass-scale gore and destruction. What's the point of revenge if you can't have a little fun? And that's precisely what Anushka Sharma and the band of ladies she's hired by to break Ranveer Singh's heart proves while out and about of breezy Goa in Maneesh Sharma's follow-up to Band Baaja Baaraat. From water sports to church trips, this one has it all. The sequel carried the action to Thailand but it all began on home turf wherein three guys have a tough time around the girls they've fallen for. And what's a buddy movie without a mandatory retreat in Goa? Rampant in sexist humour and misogyny, Pyaar Ka Punchnama has its share of detractors and defendants. He's in Goa to work, she's in Goa for a break but life is mostly a picnic for Akshay Kumar, Amy Jackson and their goofy go-between Lara Dutta in Singh is Bliing. One can catch their comic antics around the breathtaking beaches and forts of this coastal city. In Gurinder Chadha's Indianised take on Jane Austen's Victorian romance, Pride and Prejudice, Aishwarya Rai Bachchan plays the spirited Elizabeth Bennet deceived by Daniel Gillies' charms and perplexed by Martin Henderson's reserve. Other than Amritsar, US and UK, a part of the story travels to Goa and its grand beaches where the attraction between Ash and Gillies as well as her and Henderson is cemented. Nothing like a quickie vacation in Goa for those living in Mumbai, travel enthusiast Imtiaz Ali knows this better than anyone. In his first film, Socha Na Tha he creates a scenario wherein Ayesha Takia accompanies Abhay Deol to Goa-themed escape with friends to facilitate his friendship with another girl but end up falling for each other. Again, the romantic ambiance of Goa plays cupid for Aamir Khan and Neelam after they kiss and make up during a college trip to the seaside locale. What's got our attention the most is Aamir's silly beach outfit. Three oldies hightail Goa-wards on their driver's insistence to have a good time and fan their dormant fantasies at India's eternally hot and happening destination. 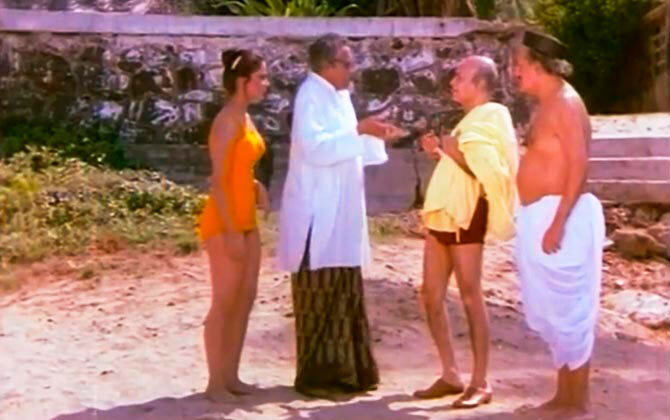 What follows is nothing short of hilarious but it's sure fun to see Ashok Kumar, A K Hangal and Utpal Dutt make their royal fool trying to chase the swimsuit-clad hottie Rati Agnihotri in the droll Shaukeen. What is Deepika Padukone's biggest fear? PIX: Shah Rukh Khan loves his 'Dil'!